Picked clients up and went up lake to locate schools of Stripers. Found our first school in 25' of water and broke the crew in on how to catch Stripers on down lines. The fish stayed fairly shallow today but moved quickly as always. We worked 4 schools within sight of each other catching fish in every one. We saw a fish bust a Gizzard on the surface soI picked up a pencil popper and on my second cast a 13 pounder jambed it . 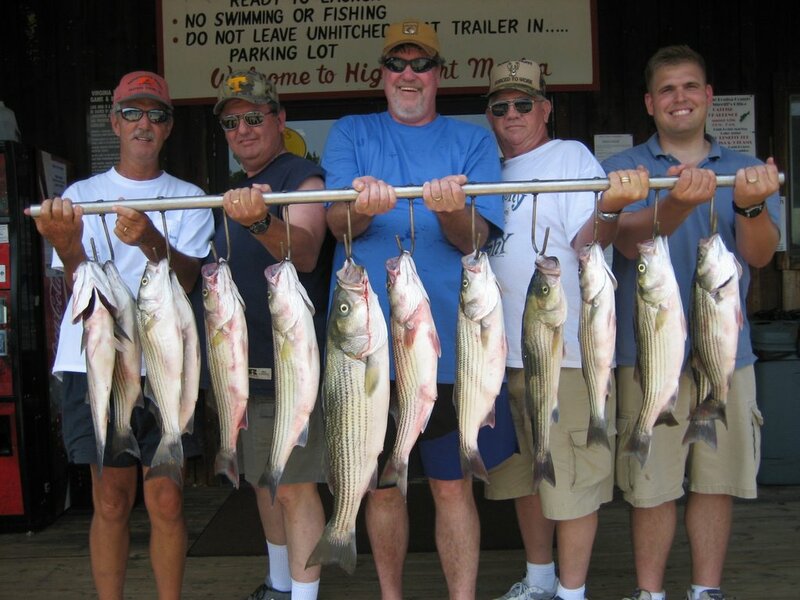 I handed the rod to a client and he wrestled the hog to the boat. Fish quit bitting at 11 but not after going through 200 baits. 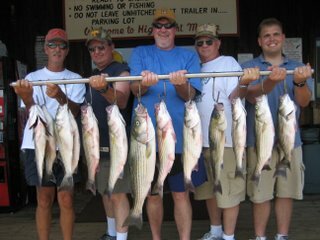 Clients kept 15 nice Stripers for the day.